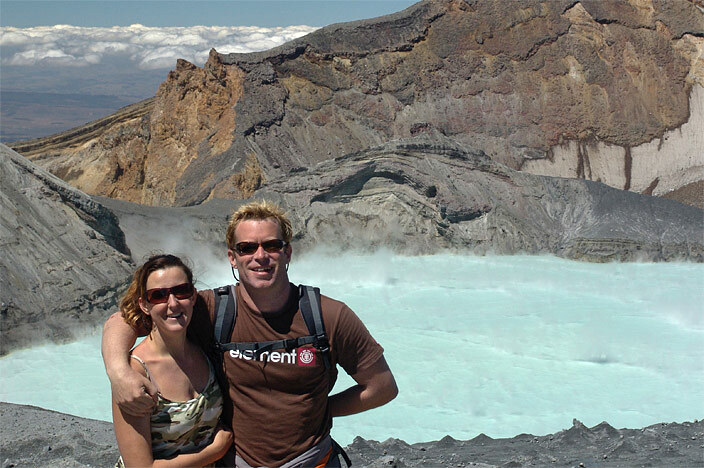 To test our weary legs after the Tongariro Crossing, we decided to hike up neighbouring Mount Ruapehu to see its volcanic craters. 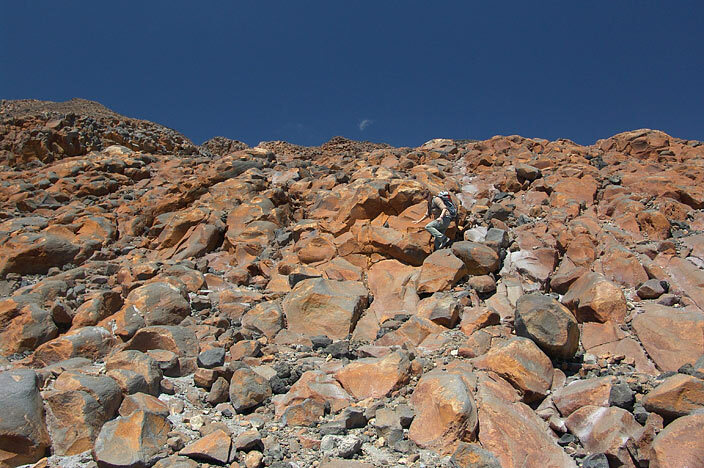 Suffice it to say we were stiff as boards waking up in the morning and I questioned whether I could even climb one step. 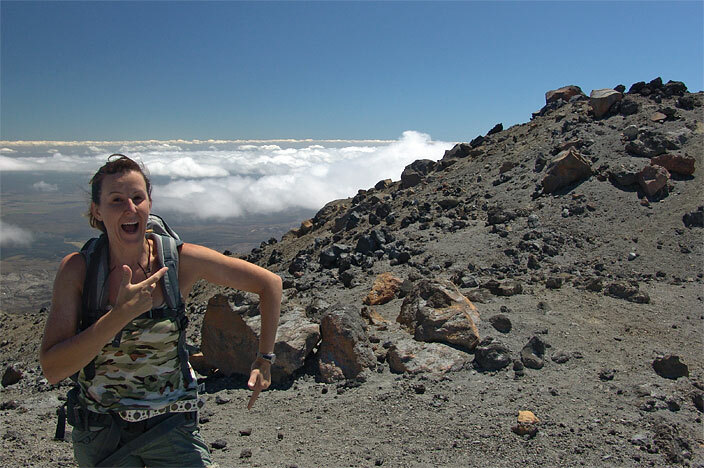 A few one armed press-ups and a three shots of espresso later and we were raring to go. 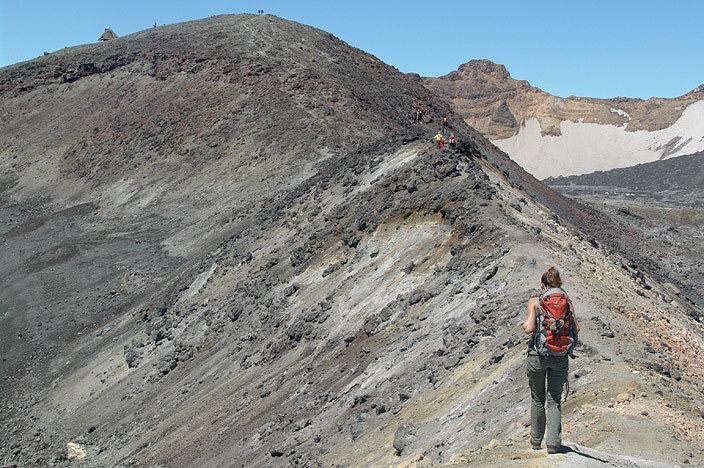 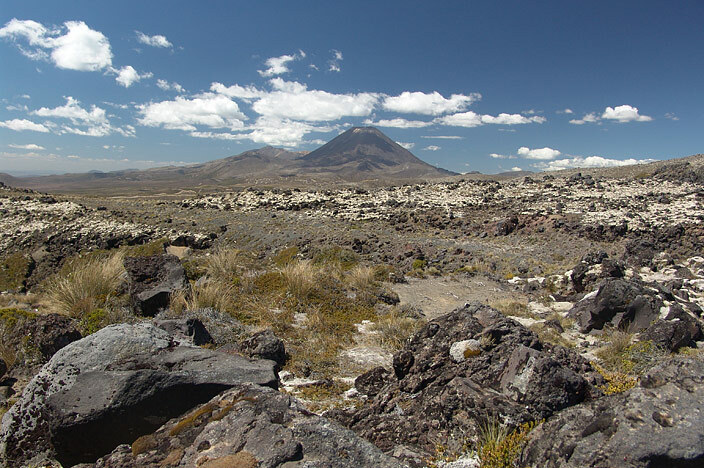 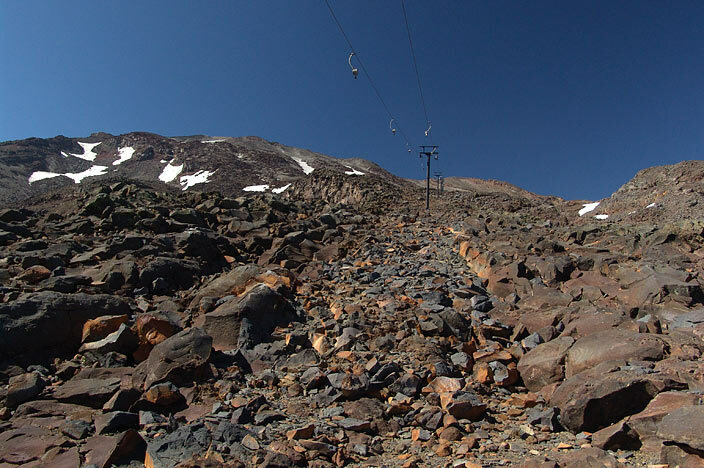 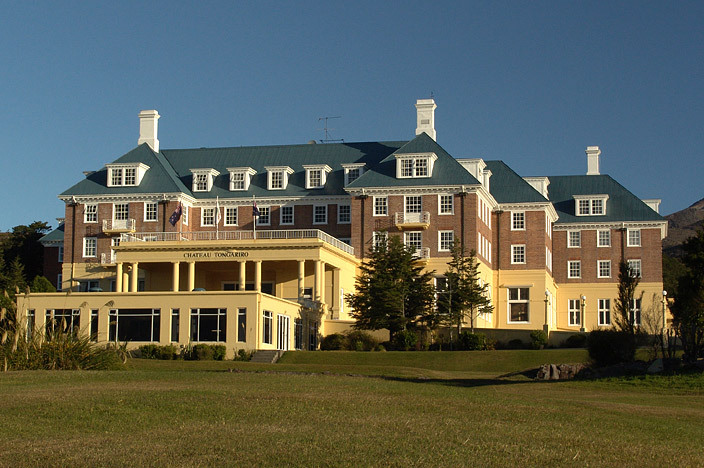 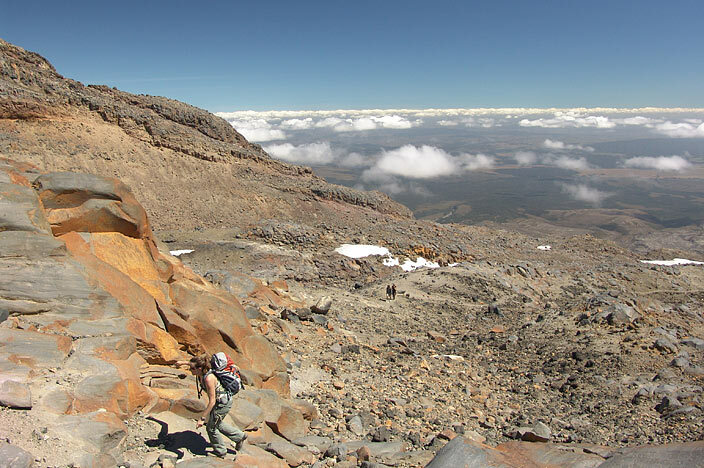 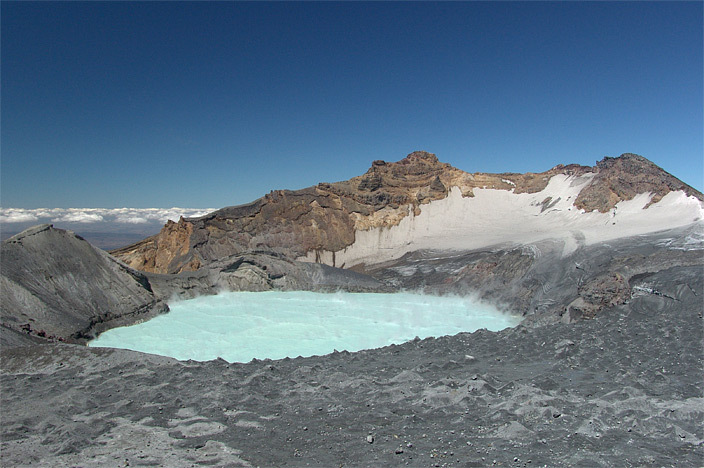 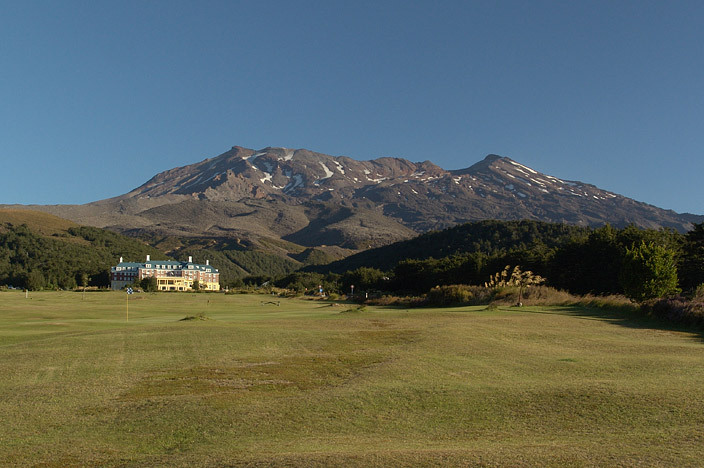 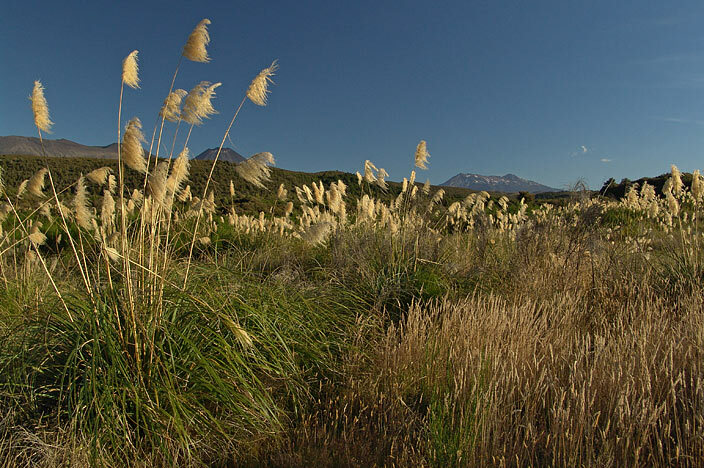 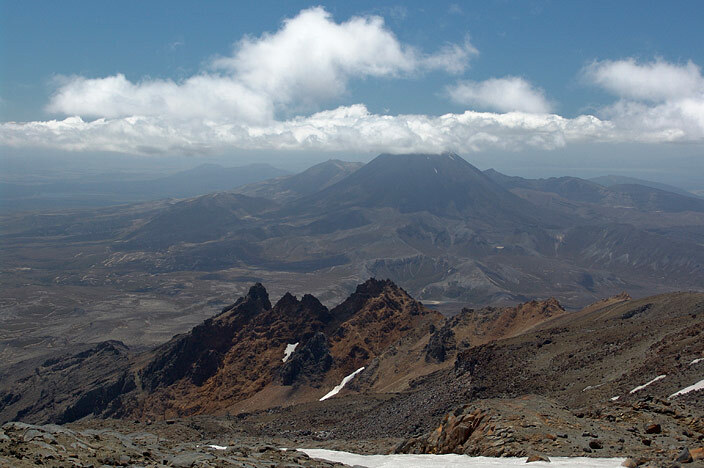 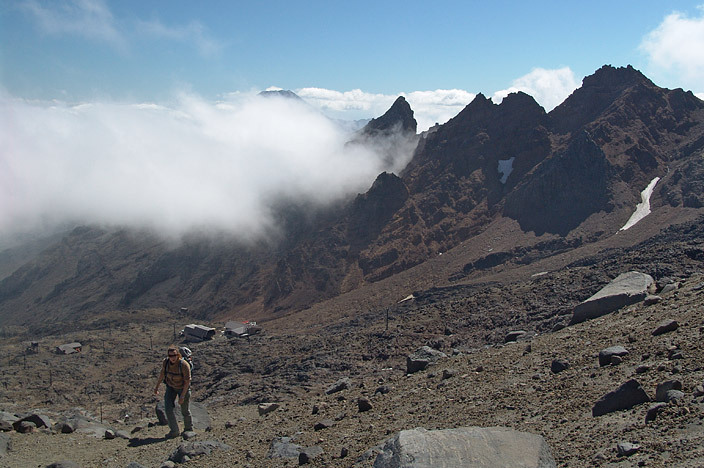 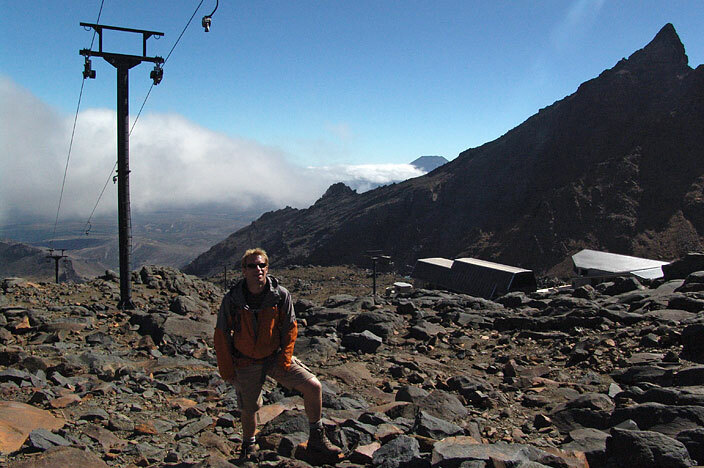 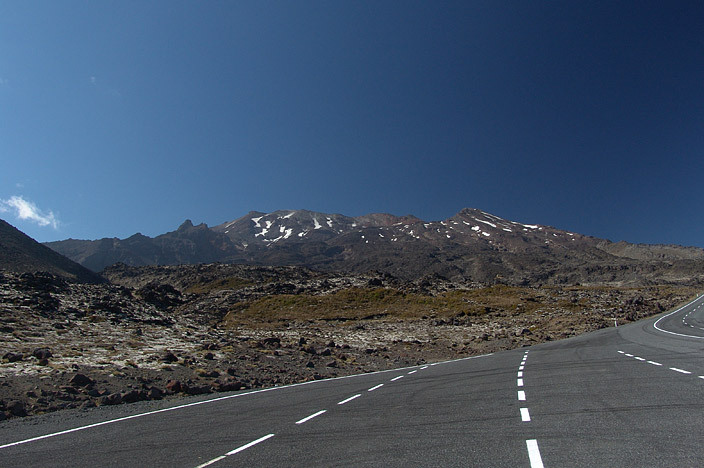 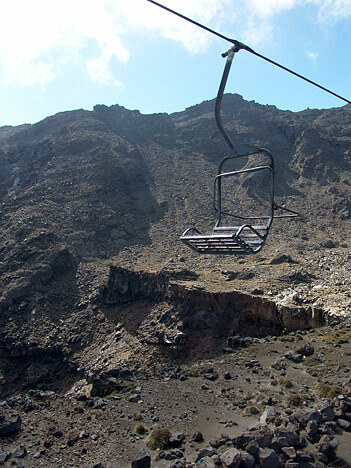 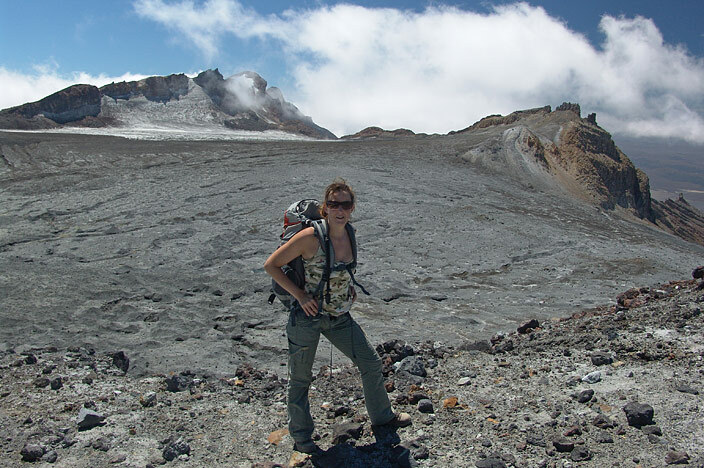 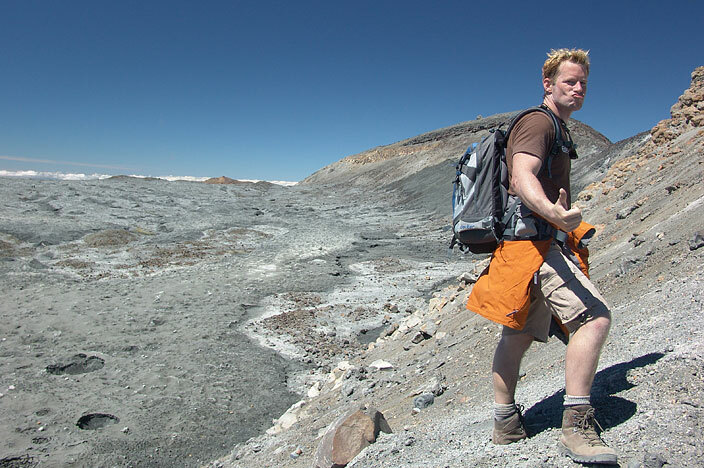 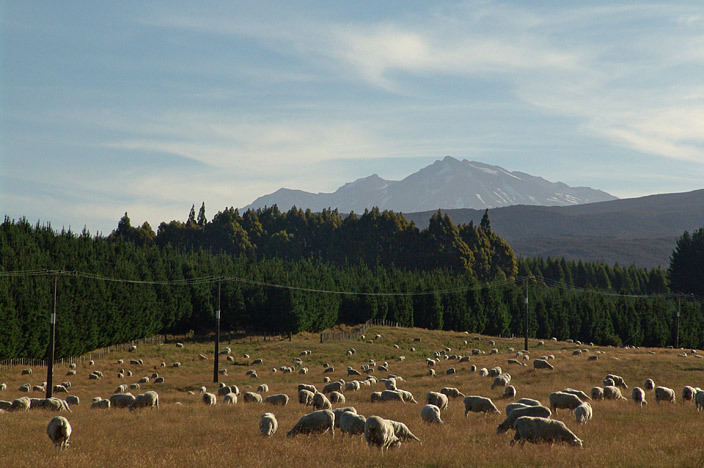 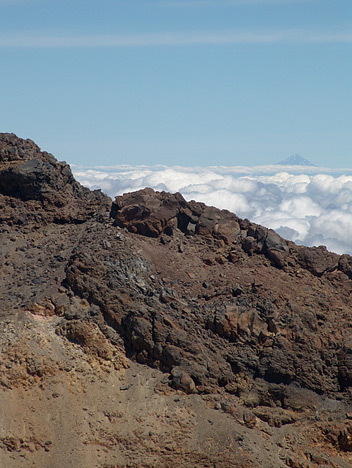 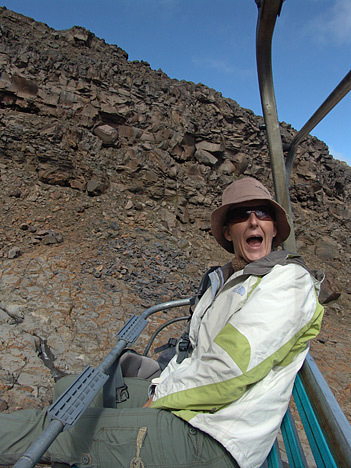 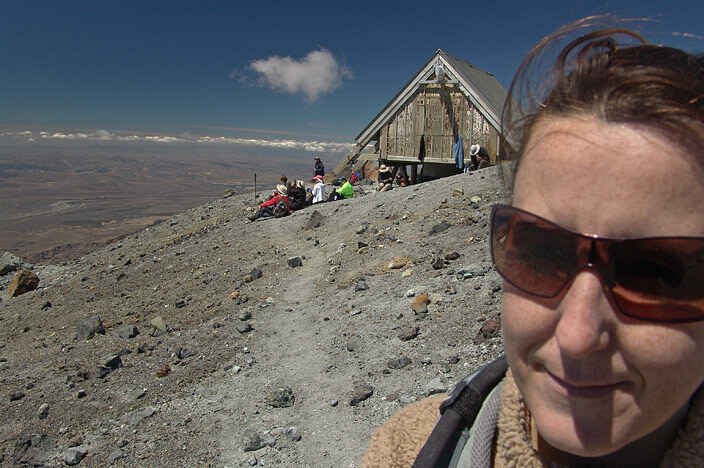 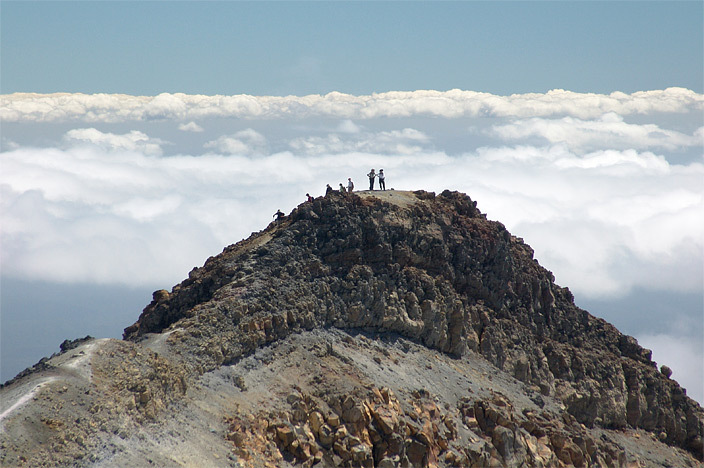 You can tackle Ruapehu in one of two ways: either take a guided tour up with a mountain guide - downside being that you have to pay for their company and it's an early start - or trek it yourself if you like your sleep and you're nifty with navigation. 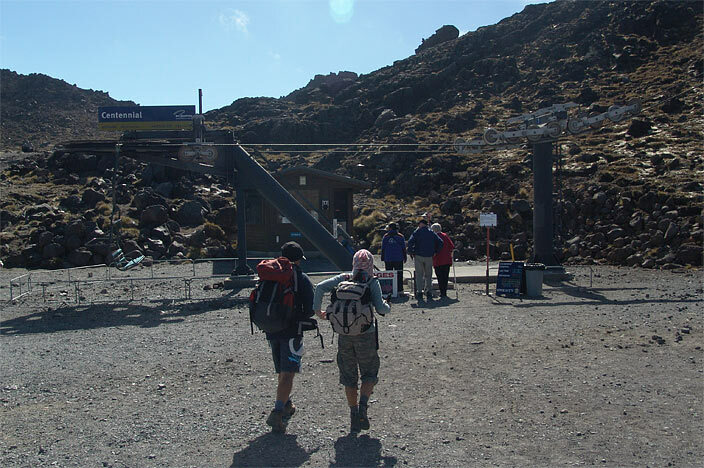 We took the latter option after buying a $1 pamphlet from the Whakapapa Visitor Centre which describes the route. 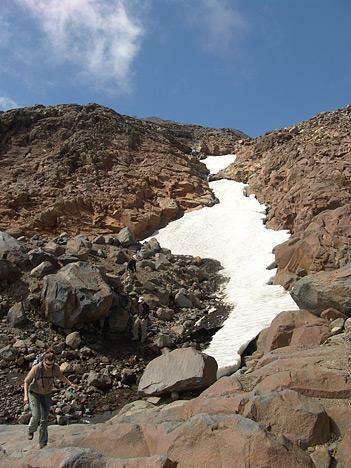 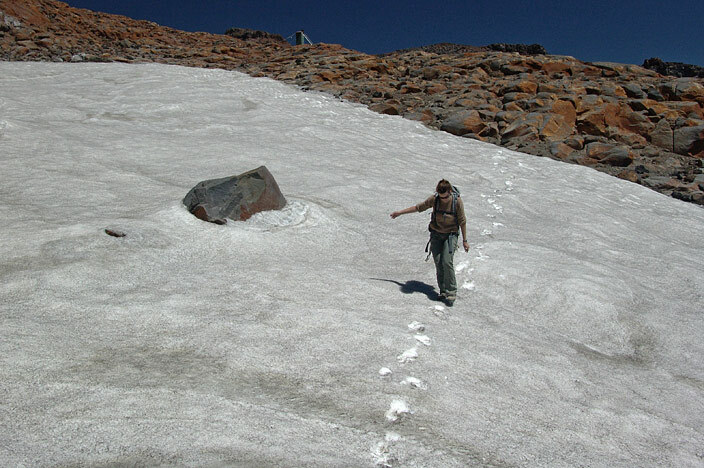 There's usually plenty of other trekkers to follow also. 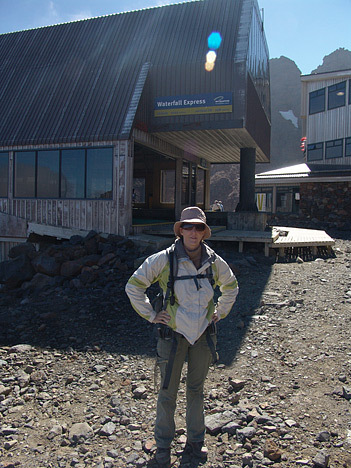 Basically you're looking at paying $20 NZD per person to take the ski chairlift half way up and from there you hike an unmarked trail (since a lot of it is hard rock) to the ridge line and then along to the Dome Hut where you get grand views of the main crater lake. 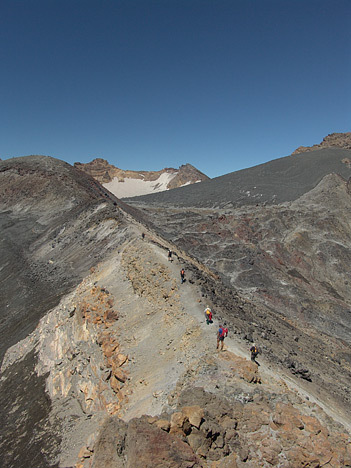 A good trek. 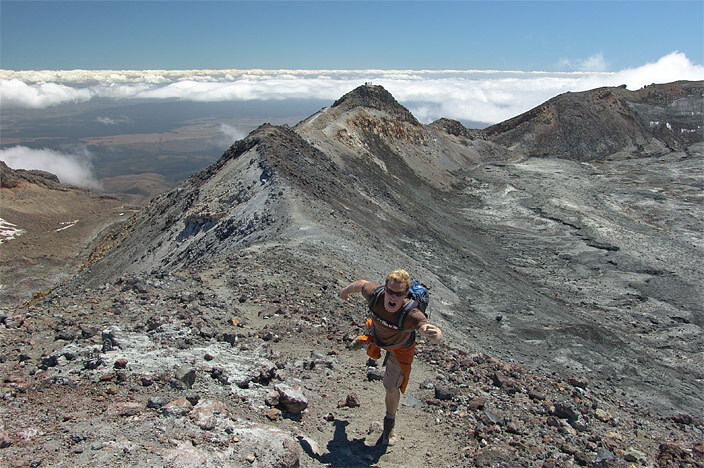 Not a Tongariro beater but worth the hike if you're in the area and feeling energetic. 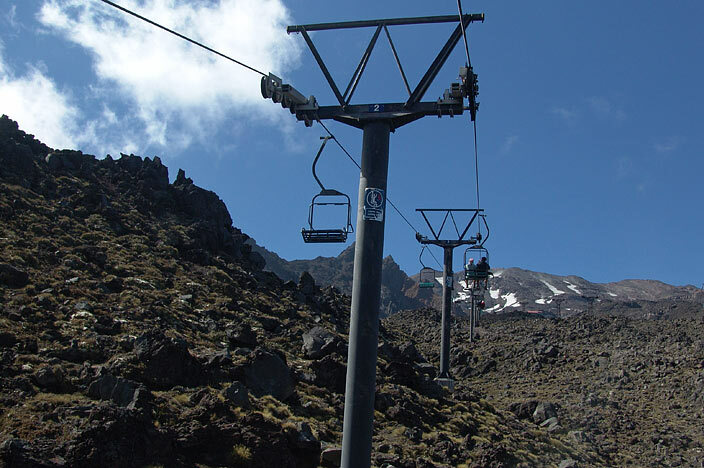 Probably some good skiing action in the winter also.